At the Bougainvillea Clinique, we have the world's first clinic based, FDA-approved Cytori StemSource® lipobank. Fat removed with gentle liposuction can be stored indefinitely for future fat grafting procedures. By storing your fat we can reduce the number of liposuction procedures required, particularly when staged procedures are needed. This is offered to our patients as an option when appropriate. 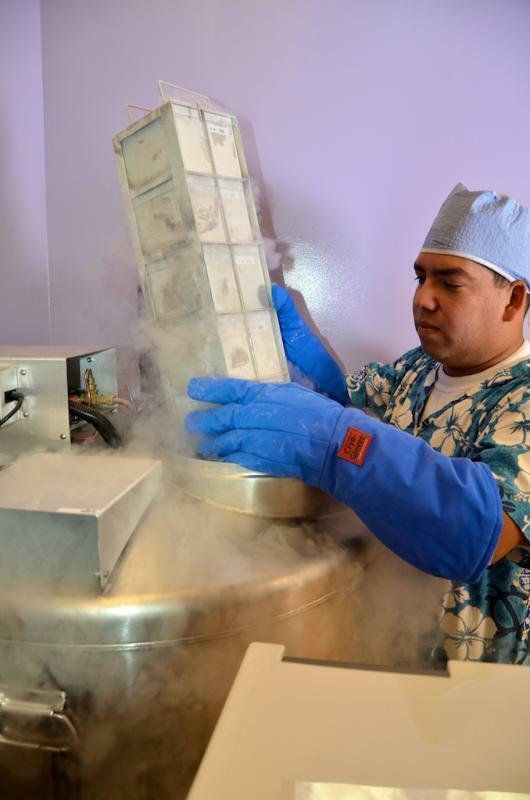 As an FDA registered tissue bank, very strict standard operating procedures are followed to ensure sterility and of course misidentification. Orlando Plastic Surgeon, Dr. Hartog has perfected a process whereby every step of the liposuction harvest procedure and the fat processing is a closed sterile procedure. Every step of the banking procedure is similarly closed and sterile. 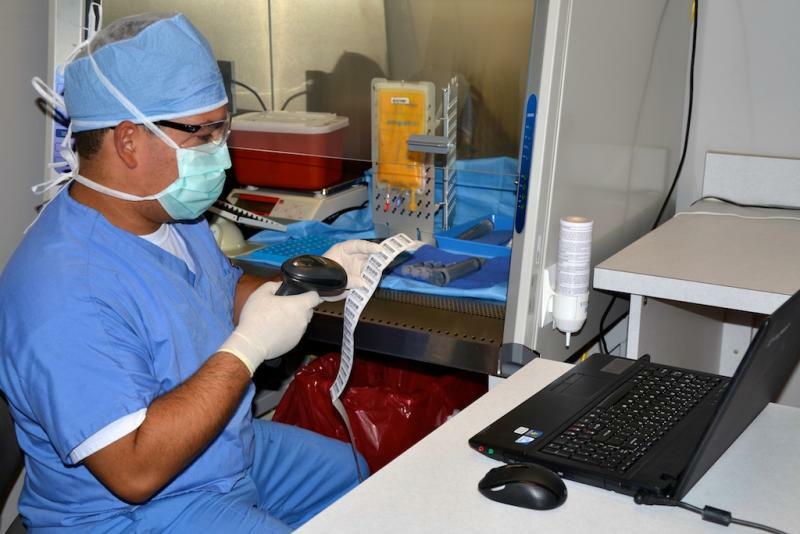 Only one patient's fat is ever processed at one time and the procedure uses precise barcoding for every step to ensure quality control and eliminate the risk of misidentification. Your fat is processed and frozen in a precise controlled fasion to -192 degrees Celcius and can be stored indefinitely until it is needed. Your fat is frozen, so it will be a viable source for many years to come, allowing you to use the fat as needed. 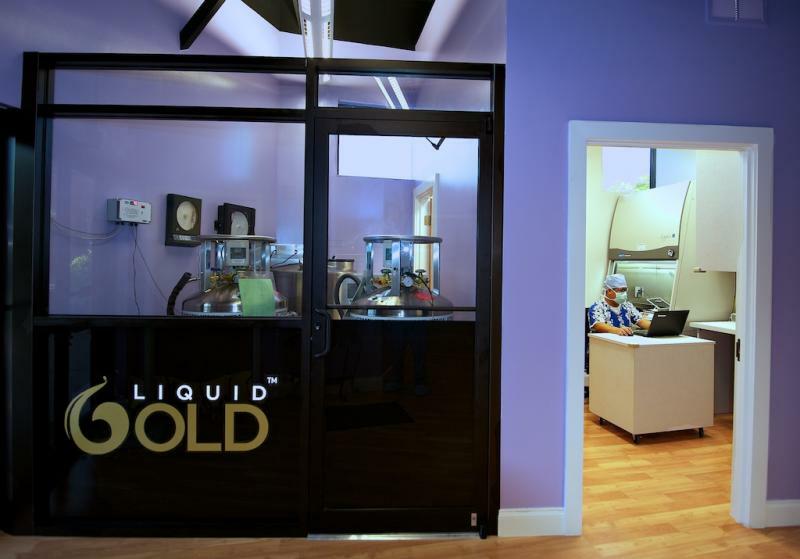 Instead of using artificial material and foreign objects, the LiquidGold® approach allows you to use your own natural tissues. Your fat is rich with Adipose Derived Stem and Regenerative Cells (ADRCs). These cells have been shown to promote healing and regeneration in injured tissues, such as tissue following radiation therapy for breast cancer. These cells also enhance the quality of the fat graft used in your breast reconstruction or breast augmentation. The LiquidGold® approach harvests your fat only once, and allows us to store fat in small vials or larger bags for breast, face and other body restoration procedures. The gentlest liposuction techniques are used so that the fat cells are not damaged or destroyed. To learn more about fat banking and fat grafting for breast reconstruction and other cosmetic procedures, please contact plastic surgeon Dr. Jeffrey Hartog to schedule a consultation if you are in Orlando, Florida or surrounding areas.